I had the great pleasure of meeting with Kerry McFarland and her two adorable kids last week. If you are one of our Charlottesville families, you may have seen some of Kerry's work around town - she is the talented creator and photographer of Earthdarling Portraits! 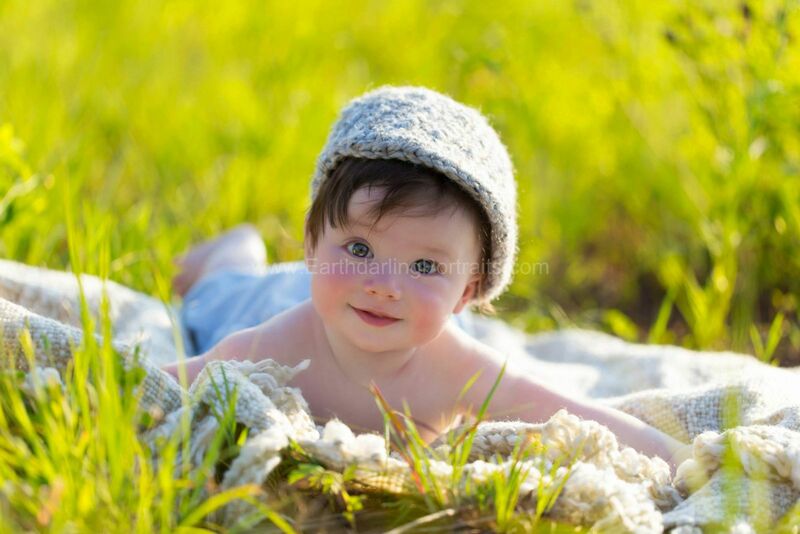 Kerry's speciality is maternity, newborn, baby, and child portraits and you can see many of her beautiful pictures on her website and Facebook page. We also are featuring a few of her "darlings" here on ASAPSitters! Kerry started Earthdarling in 2008 and recently moved into an amazing new space (Studio EP) in Charlottesville, VA. The grand opening of Earthdarling Portraits will be Saturday, Sept. 14th, 2013, from 11:00AM to 2:00PM! This will be a fun family friendly event, and families and kids can enjoy complimentary face painting by Expressions, refreshments from Feast, a live D.J. spinning vinyl, a small but sweet play room, and door prizes to include a free session from Earthdarling Portraits, a gift from ASAPSitters, and many more goodies being added to the list! We are excited to be partnering with Hush, Hush Little Baby! HHLB was founded in 2008 by Haleigh Haggerton Almquist, an Advanced Certified Newborn Care Specialist and local mommy! HHLB provides newborn care services in the DC Metro area, including overnight care and sleep training. HHLB's mission is to provide each family with the specialized care they need and deserve during that special time when they are welcoming a tiny new member into their lives. Congratulations to all of our winners!! and thank you to our incredible sponsors - B&B Music Lessons, PB & Jack, SleepWell Sleep Solutions, All Heart Training, Pacers Running Stores, Sport Bounce of Loudoun, The Geller Law Group, Mr. Skip, and Jessica Monte Photography - for making our 5 Year Anniversary Giveaway a huge success!! 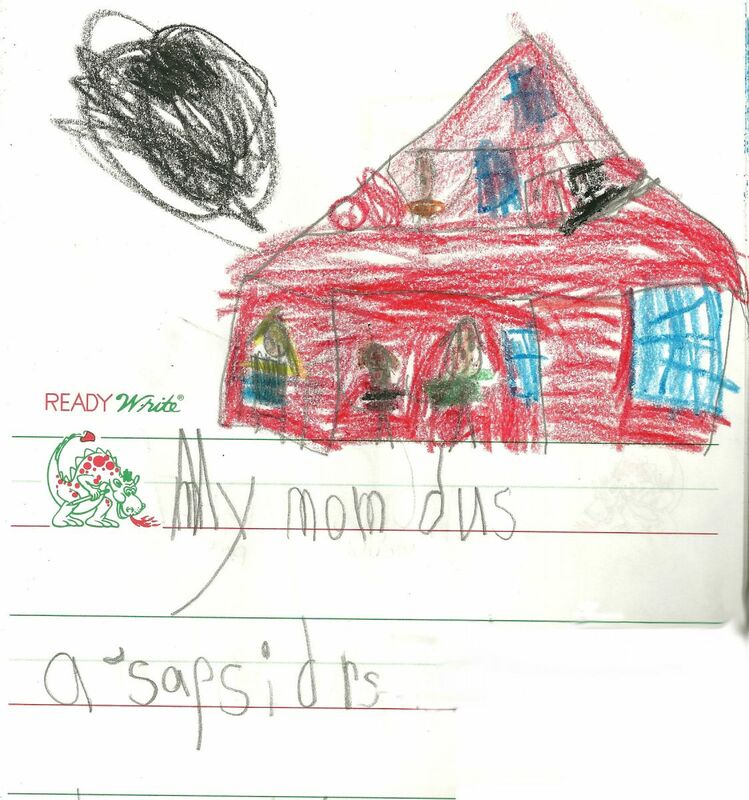 From my almost 6yo son... the drawing is a school assignment to draw mom's work: "My mom dus A'sap Sidrs." I'm not sure why the apostrophe or what the black scribble is supposed to be ... but I'll take it over the drawing of Dad captioned "My dad got a tikit bekuz he woz driving to fast." We always appreciate hearing feedback from our families and from our sitters! Of course we want to know how our sitters are doing, if the kids are having a good time, what is working well and what maybe isn't, and needs attention. The input, comments, and questions from our families is what helps ASAPSitters grow and improve. And it's always wonderful to hear when a sitter is doing an outstanding job - we can't even fit all of those wonderful sitter reviews on our Testimonials page. We always try to make sure sitters always know when a family praises them (or if they have constructive criticism). "I just wanted to let you know that the babysitting job last night was fantastic. The ------'s are such nice and wonderful people. I thoroughly enjoyed myself babysitting the kids and getting to know the family. Thank you for the opportunity once again." And then we heard from the family about how happy they were with their sitter. And THAT is what ASAPSitters is all about !